Under the Fourth Amendment, Americans are protected from unreasonable searches and seizures, but according to one group of federal prosecutors, just being in the wrong house at the wrong time is cause enough to make every single person inside provide their fingerprints and unlock their phones. 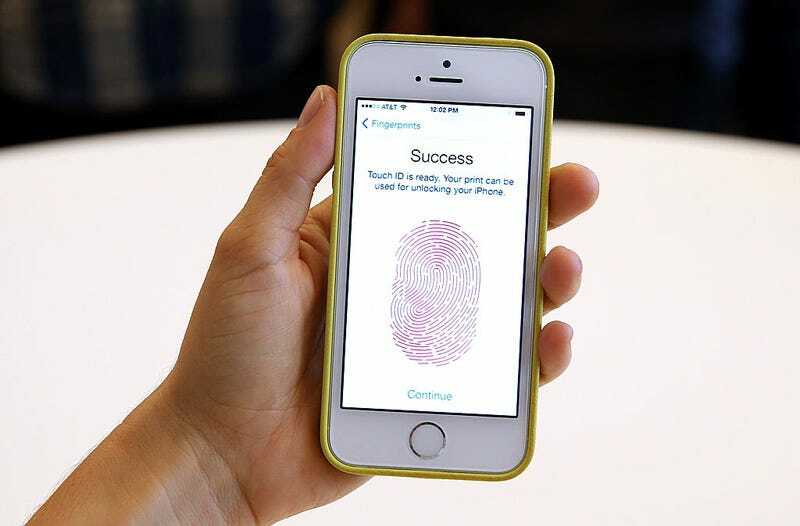 Back in 2014, a Virginia Circuit Court ruled that while suspects cannot be forced to provide phone passcodes, biometric data like fingerprints doesn’t have the same constitutional protection. Since then, multiple law enforcement agencies have tried to force individual suspects to unlock their phones with their fingers, but none have claimed the sweeping authority found in a Justice Department memorandum recently uncovered by Forbes. In the court document filed earlier this year, federal prosecutors in California argued that a warrant for a mass finger-unlocking was constitutionally sound even though “the government does not know ahead of time the identity of every digital device or every fingerprint (or indeed, every other piece of evidence) that it will find in the search” because “it has demonstrated probable cause that evidence may exist at the search location.” Criminal defense lawyer Marina Medvin, however, disagreed. Unfortunately, other documents related to the case were not publicly available, so its unclear if the search was actually executed. Even so, Medvin believes the memorandum sets a deeply troubling precedent, using older case law regarding the collection of fingerprint evidence to request complete access to the “amazing amount of information” found on a cellphone. In the meantime, it might be a good idea to switch to the kind of numerical code they can’t force you to give up.